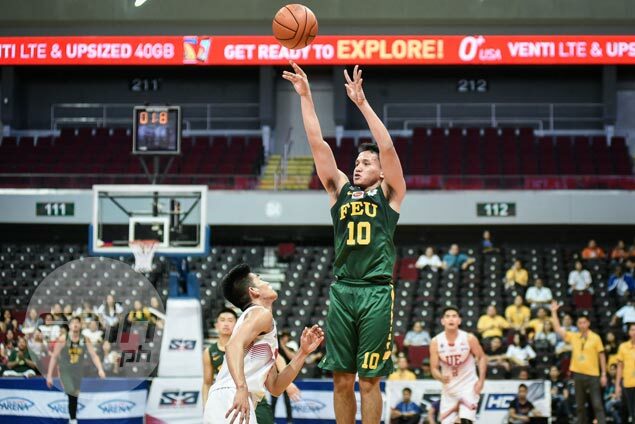 WENDELL Comboy spearheaded a late 9-0 run by Far Eastern University to beat University of the East, 64-61, on Wednesday and snap a three-game skid in the UAAP Season 79 basketball tournament at the Mall of Asia Arena. The Tamaraws finished the elimination round with a 9-5 win-loss record, and their semifinal seeding will depend on the result of the second-round Ateneo-Adamson game. Axel Inigo had 16 points and hit a triple that put FEU ahead, 64-59, with 25 seconds left in the fourth quarter. “Ganito pala ang feeling ng manalo. Na-miss niyo ako no?” said FEU coach Nash Racela. “We just wanted to get a win before we go to the playoffs. It was a struggle. It was really hard especially mentally for the players. At least, gumaganda ‘yung adversity quotient namin,” Racela added. The Tamaraws overcame a five-point deficit in the fourth period with Comboy tying the match at 59 with 1:26 left in the fourth before Inigo hit the dagger triple. Raymar Jose had 11 points and 12 rebounds, while Richard Escoto tallied 11 points for the Tamaraws. Comboy had eight of his 10 points in the fourth quarter for FEU. Paul Varilla had 13 points for the Red Warriors, who finished the season with a 3-11 win-loss record. FEU 64 — Inigo 16, Jose 11, Escoto 11, Comboy 10, Orizu 8, Holmqvist 4, Bayquin 3, Tuffin 1, Nunag 0, Trinidad 0, Arong 0, Dennison 0, Bienes 0. UE 61 — Varilla 13, Manalang 8, Palma 8, Acuno 8, Bartolome 7, Batiller 6, Olayon 5, Abanto 2, Pasaol 2, Armenion 2, Charcos 0, Gagate 0. Quarterscores: 11-20; 34-34; 44-53; 64-61.